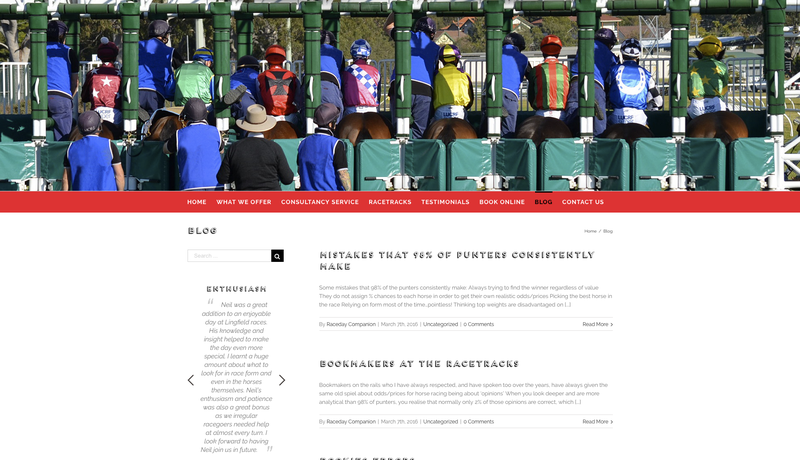 The website re-design for Raceday Companion included a slight change to the branding, make the logo bolder and using a stand-out retro block 3D font that would be used prominently throughout the site for maximum impact. Large header images are used throughout the design, the largest of which is on the homepage to give instant context at the most likely point of entry for most users. 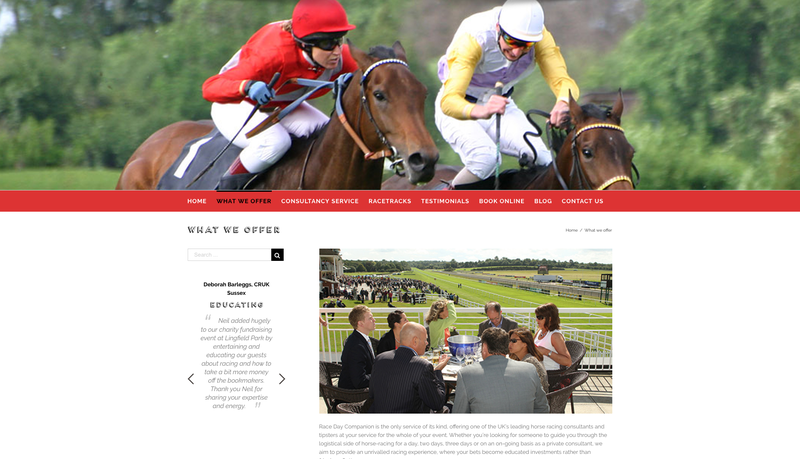 As part of this project, we also added the updated branding to all of Raceday Companion’s social networking channels. 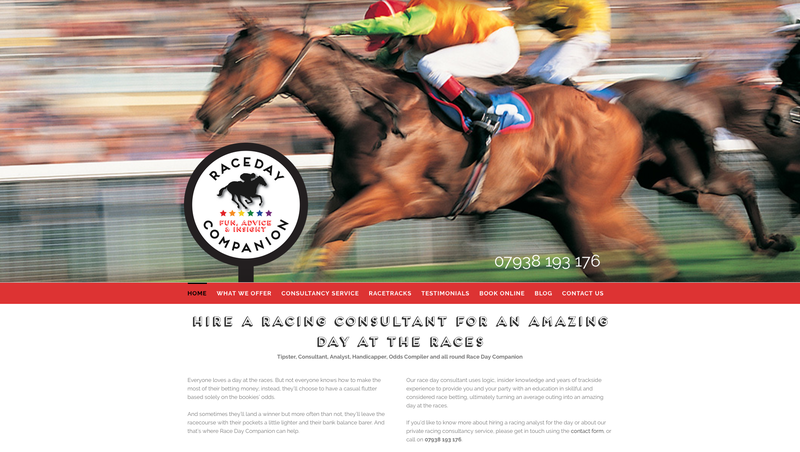 And following the successful rebrand and website launch, we continue to work with Race Day companion as digital marketing consultants, offering SEO and social networking guidance, when needed.